Caterina Mezzogiorno is Alias name for my account. 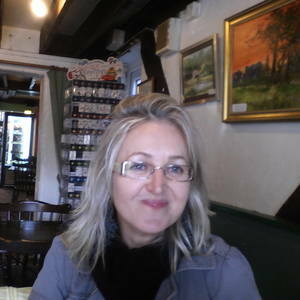 I'm a Latvian born professional painter living and working between London and my art studio in Tuscany near Florence. For the past 10 years I've been working on a commission for many prominent art studios in Florence, Milan. In cooperation with interior designers and architects, I created numerous original paintings, according to their clients interests and latest fashion trends as well. I've really enjoyed my experiences of commisions so far. You're always considering someone else's point of view so you have a slightly different relationship with the work. An artwork commission is a personalised experience that is different for everyone.